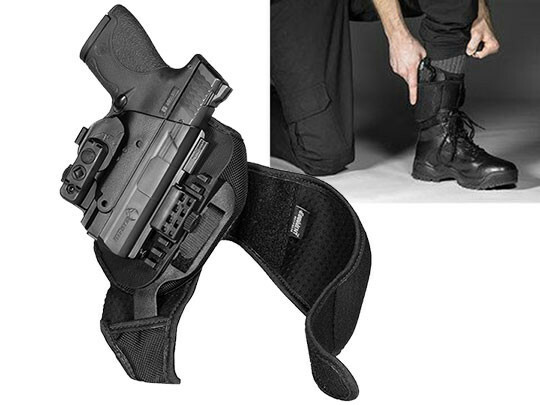 Wondering if you'll ever find an M&P Shield M2.0 ankle holster that can actually carry well? 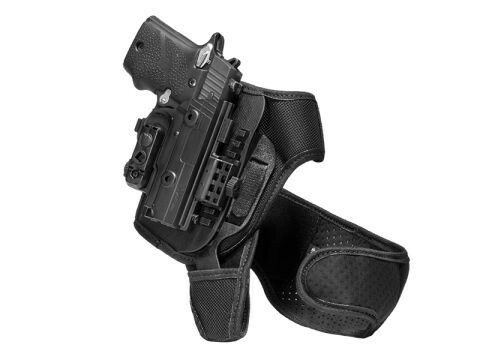 The good news is that you just have: the ShapeShift M&P Shield 9 M2.0 Ankle Holster by Alien Gear. 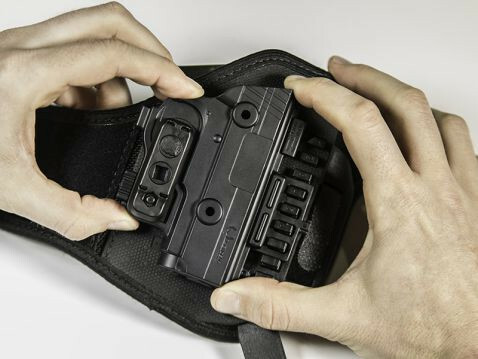 Unlike many other ankle holsters for M&P Shield M2.0 pistols, we designed this holster to carry securely, comfortably, and do so for extended periods over years of service. Everyone promises that, so how is ours any different from other M&P Shield M2.0 ankle carry holsters? We start with a two-piece strapping system, with a heel loop and ankle wrap. The ankle strap features a durable polymer insert that fits into a pocket on the heel loop. Once put together, the holster is stable vertically and horizontally. It stays in place, no matter what you get into. The base material is Cool Vent neoprene, a moisture-wicking perforated neoprene that keeps you dry and cool by breathing against the skin. 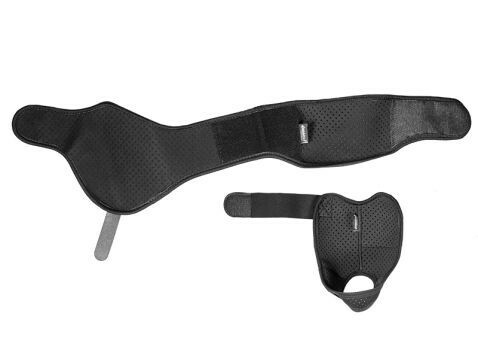 You can wear this holster for hours without issue. 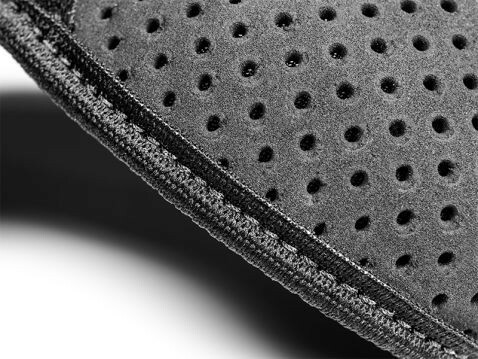 Gone are the days of chafing from hard nylon web and hot spots from leather. 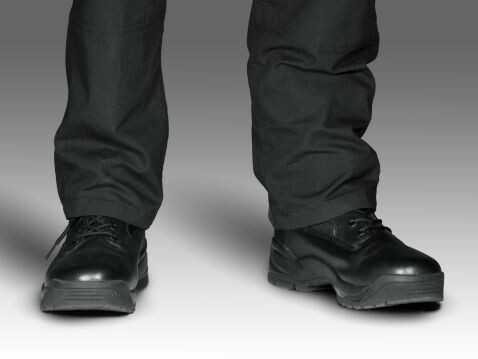 The elastic in the strap bands lets you cinch the straps tight without practically cutting off circulation to your feet. The holster itself is our ShapeShift M&P Shield 9 M2.0 holster, custom molded for this pistol so fit will never be an issue. No break-in time or other fussing with it; it's ready to go out of the box. You also can dial in the passive retention to the exact setting you desire. 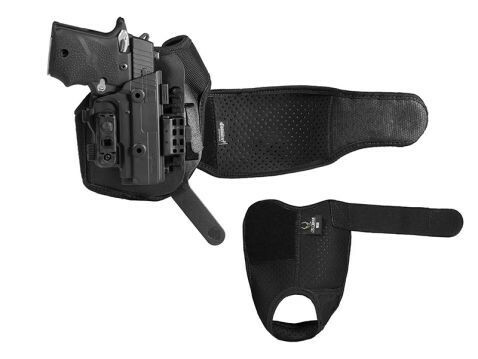 Ride height is also adjustable on our Shield M2.0 ankle holster; set to the carry position you prefer. You also can rest easy knowing this holster comes backed by our Iron-Clad Guarantee, one of the most comprehensive product guarantees in the industry. We will buy the holster back in the first month if you aren't satisfied, and will repair or replace the holster from then on if you are. 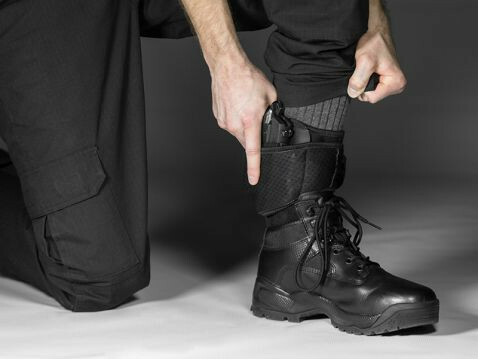 Shift your expectations on how good an ankle holster can be. Schedule your test drive today!